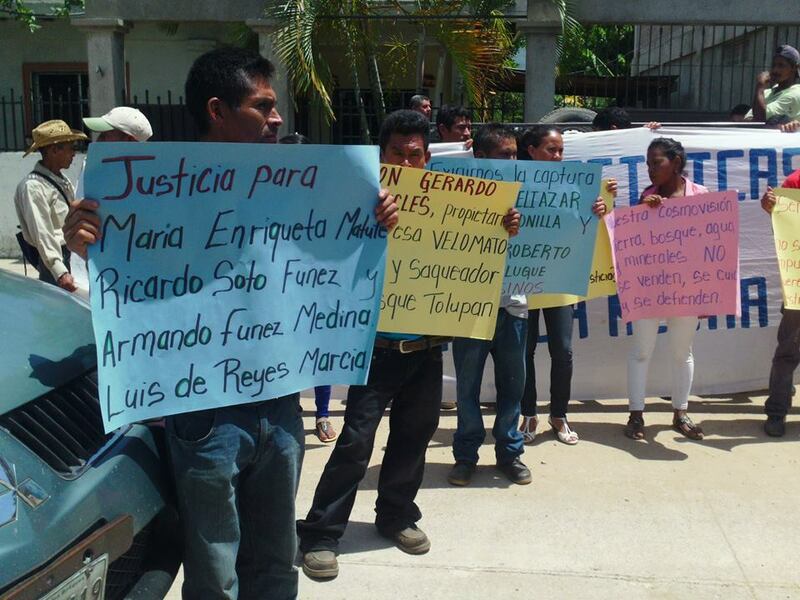 San Francisco de Locomapa: Impunity and new threats. Government failure to implement IACHR precautionary measures strengthens impunity and creates greater insecurity. On February 22, the people of Locomapa celebrated the return of six of seven community members forced to flee after the murders of Enrique Maria Matuta, Armando Medina, and Ricardo Soto Funez on August 24, 2013. The murders of the indigenous Tolupanes occurred after 21 days of peaceful protest by the community in rejection of mining activity and illegal logging on their tribal lands. However, four months after the pledge to implement IACHR precautionary measures, the threats and vulnerability of the community continue. The police responsible for the investigation into the murders and protection of the threatened community members showed confusion between ‘protective measures’ and ‘alternative measures’ (to prison), and not until May, did police express the idea of creating a list of the beneficiaries of precautionary measures for the first time. At the same time, the police are evasive when asked questions regarding the progress of the investigation. They cite various difficulties impeding their work: lack of staff, lack of equipment, and lack of accessibility to the community. However, some of these difficulties were addressed when they received a motorcycle in order to reach the community. They seemed to have no difficulties in visiting PROAH accompaniers in May. Although the police investigation is required as part of the implementation of precautionary measures and the commitment of the state to protect the Tolupan community, the two alleged perpetrators of the August 2013 massacre, who have warrants for their arrest, remain free in the community, intimidating those in opposition of the mining project. They regularly approach them, close enough to threaten them and so that community members are able to identify them. Therefore, anyone in the community can provide a precise physical description of the perpetrators, which could help a serious police investigation. But, the case does not advance. On March 27, Selvin Funez Matute, one of the alleged murderers, approached a member of MADJ threatening to take him and three other community members from their homes and cut their tongues out if they continued to talk to Radio Progreso. Various community members also confirmed that the Matutes fired shots into the air near the homes of the families in opposition of the mining company, threatening to kill them if they called the police. Even though various families reported these acts of intimidation, the police stated that they had not received any calls and expressed doubt regarding the veracity of the community’s claims. During PROAH’s latest visit, the community confirmed that the Matutes continue to pass through San Francisco de Locomapa, stopping at night to visit their various girlfriends. During one of these visits, one of the alleged perpetrators stopped twice near the land of one of the community members, showing him the firearms he had, presumably to intimidate him. 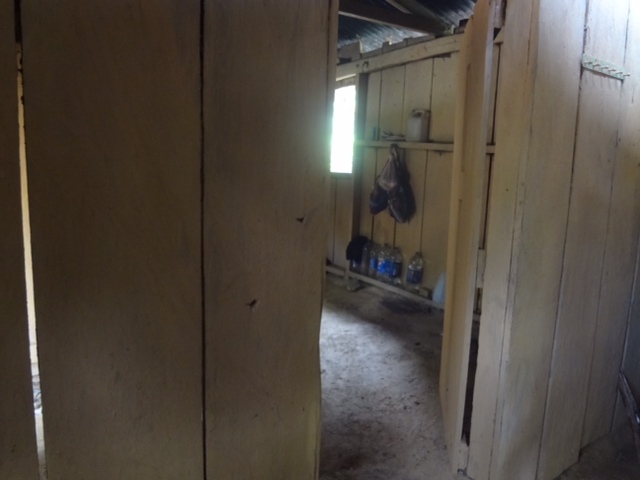 The impunity enjoyed by the perpetrators of the triple murder and the lack of application of protective measures mandated by IACHR have once again increased tension and insecurity in the community. Four months after the government’s commitment to ensure the security of the community, the last exiled community member still has not returned to Locomapa. He expressed to PROAH his fear and sadness at not being able to return to his home. Faced with the police’s inaction, the people begin to question their relationship with the perpetrators of the murders and the business interests. 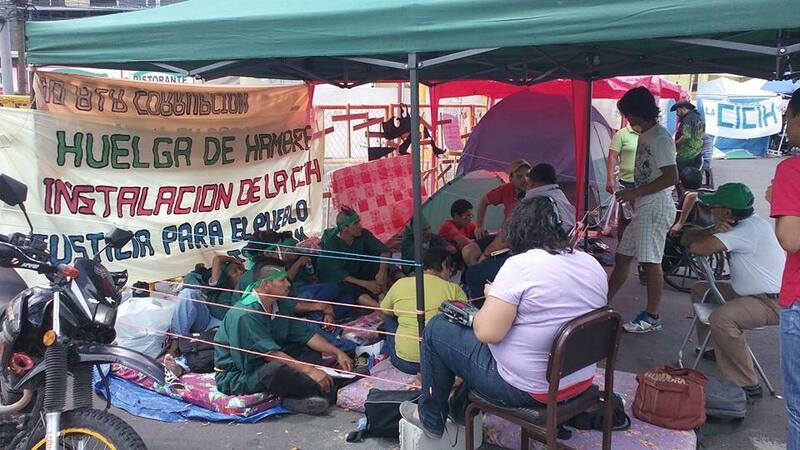 MADJ condemns “the Honduran government for continually failing to respond to the complaints filed by the Tolupán people as well as its failure to address the threats targeted at them”. 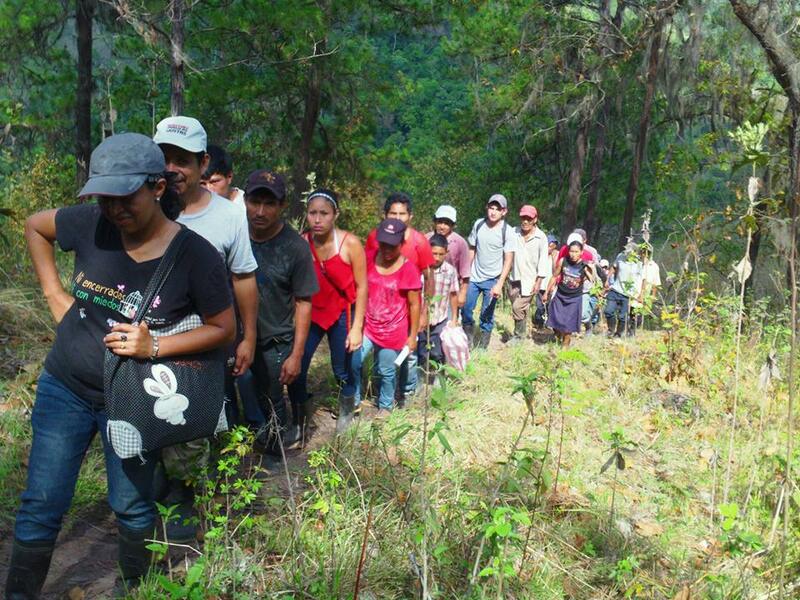 On February 23, in response to an invitation from the Broad Movement for Dignity and Justice (MADJ), PROAH observed a publicly organized event for the return of indigenous Tolupan members to their community in San Francisco de Locomapa, Yoro. 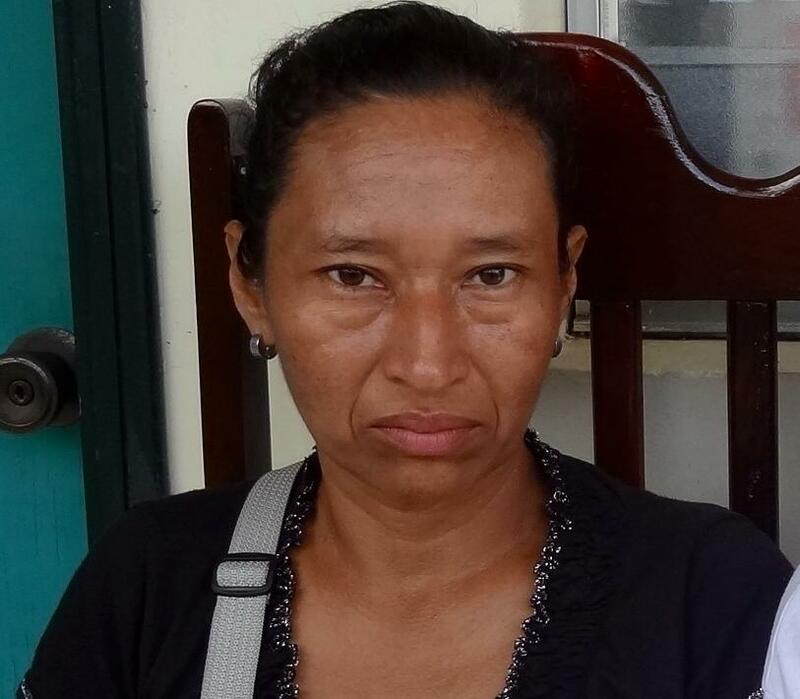 Last year, members of the community were forced to flee Locomapa following the assassination of three members of the community, Maria Enriqueta Matute, Armando Funez Medina, and Ricardo Soto Funez, on August 25, 2013. The triple murder occurred after twelve days of peaceful demonstrations by the community to protest mining and illegal logging on their tribal lands. In response to a request by MADJ for protection of the community, on December 19, 2013, the Inter-American Commission on Human Rights awarded precautionary measures to eighteen community members and their families, thirty-eight people in total. 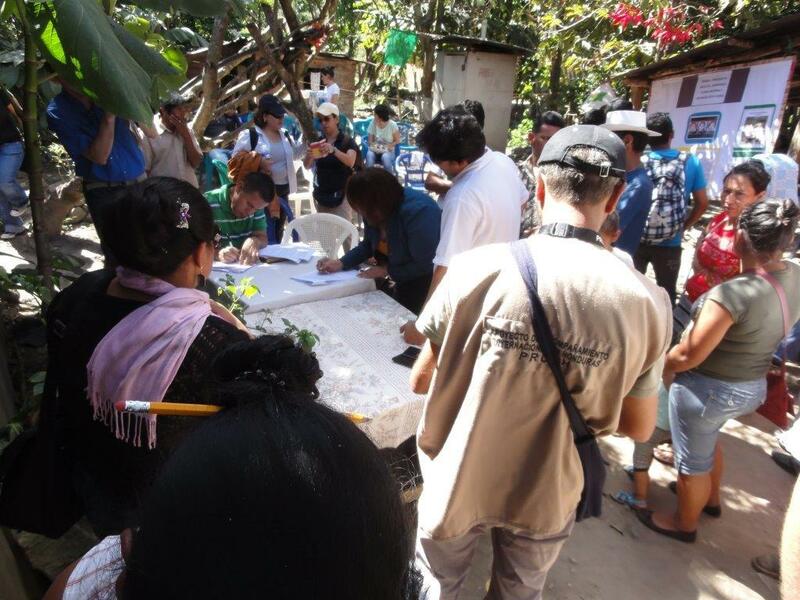 This gathering, organized for the return of community members who had been forced to flee last year, was attended by a Commission representing the state of Honduras including the vice minister of the the Ministry of Human Rights, Justice, Governance, and Decentralization, members of the Ministry of Security, the Attorney General’s Office, the Public Ministry’s Office of Ethnic and Cultural Heritage; and the regional delegate of the National Commissioner for Human Rights. This Commission arrived by helicopter and emphasized that it was the first time such a ceremony has been carried out, and that the government is commitment to fulfill its obligation to defend human rights. The deputy superintendent of Yoro, Ventura Rodriguez, also spoke and pledged to capture the alleged murderers and give protection to those threatened. Coordinator of MADJ and lawyer Victor Fernandez also spoke, emphasizing the responsibility that the Honduran State has to give protection to the thirty-eight people in the zone with protective measures from the IACHR. After the event, MADJ authorities and representatives signed an agreement, in which these commitments were documented and where the precautionary measures and their content were explained. Other civil society actors also accompanied the event, including ERIC-Radio Progreso; COPA (Coordination of Popular Organizations of Aguán); the Human Rights Observatory in the Aguán; the Forum of Women for Life; OFRANEH; the coalition against impunity; and a representative of the Honduras Solidary Network in the United States (HSN). 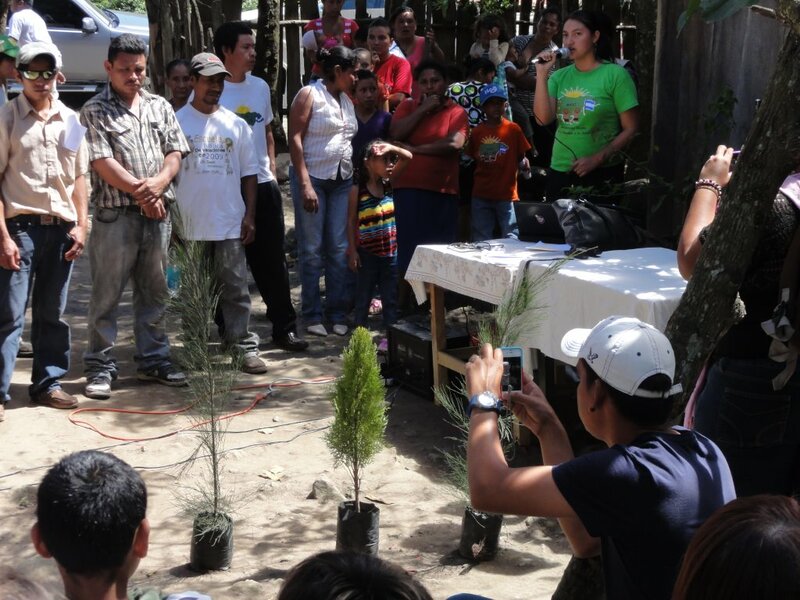 The event ended with the planting of three trees in memory of those murdered last year while peacefully opposing mining efforts. To date, the alleged murderers have not been arrested, despite arrest warrants in their names. One community member, the MADJ coordinator in Locomapa, who fled following the murders, has not yet returned to the community as he still fears for his life after gunmen hung a note with death threats on the door of his home last September. Our blog : Murder of three Tolupan community members in Locomapa. August 27, 2013. 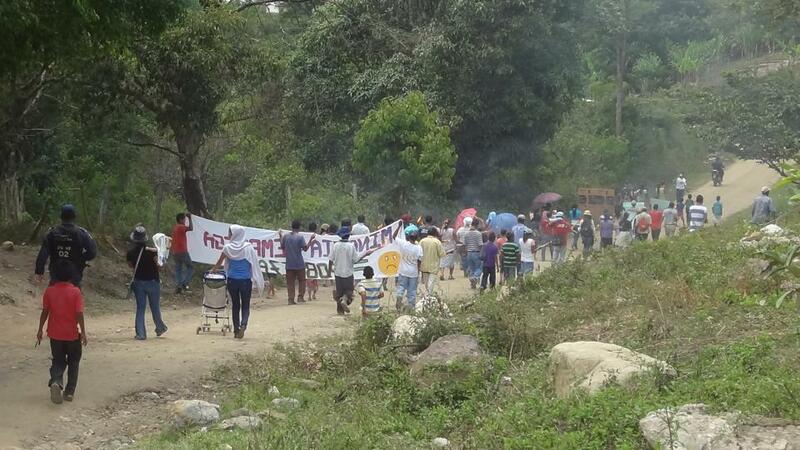 Three indigenous Honduran Tolupan were shot and killed on Sunday, August 25, 2013, at a private residence in Locomapa, Yoro, in northern Honduras. The victims were Maria Enriqueta Matute, 71, from the Community of San Francisco Campo, Armando Funez Medina, 46, of Las Brisas, and Ricardo Soto Funez, 40, of Cabeza de Vaca. 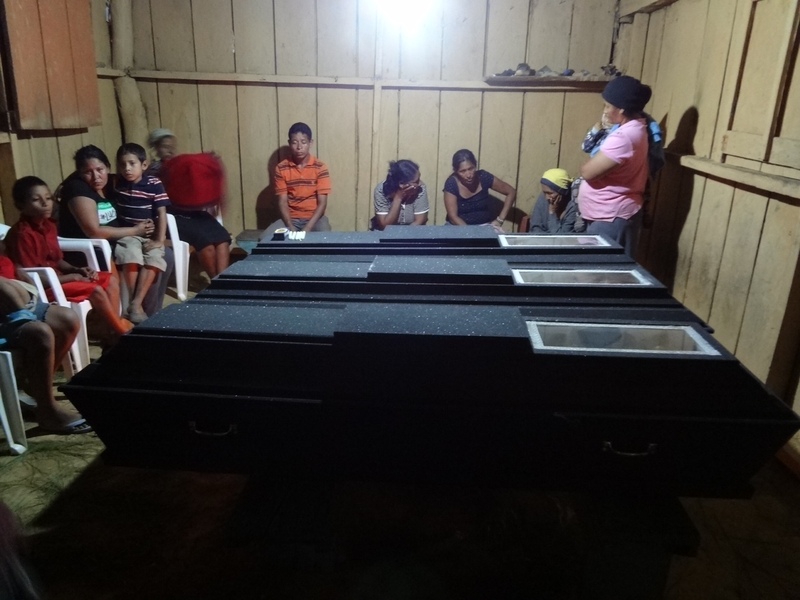 Witnesses say the killings were committed by two local men under contract by wealthy miners illegally extracting the mineral antimony from the lands of the indigenous Tolupan people of Yoro. This occurs in a context of increasing intimidation and violence against communities which peacefully oppose mining on their territory, a situation which is met with impunity (see latest article on La Nueva Esperanza). In the case of Locomapa, the community had organized to protect their resources and to oppose mining on their land. 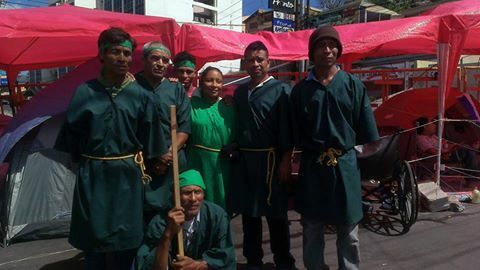 They had spoken on the radio, denouncing the illegal exploitation by powerful mining interests and by loggers. Members of the community decided to set up a road block, allowing local traffic, but stopping mining vehicles and illegal loggers. It was on the 12th day of this roadblock that the killings occurred. According to residents, the shootings allegedly were carried out by hitmen of the mining company. Locals say the two accused live in a nearby community and are corrupt members of the indigenous council who had directly threatened to kill the activists before the shooting, telling the wife of one of the murdered men to prepare the casket. Eyewitnesses say the two perpetrators arrived at the roadblack on motorcycle at 5:30 Sunday afternoon, drunk, and opened fire on the dozen or so activists there. Two men died in the entryway to Maria Enriqueta Matute’s house. Then she was shot as she came out to see what was happening. The two suspects remained free Monday, and reportedly returned to the same house three times, to threaten and intimidate the grieving families who were awaiting the bodies from the morgue. Caskets carrying the remains were transported by pickup to the community Monday night, where the three were waked at the house where they died. They were buried Tuesday morning, August 27. The local community and human rights organizations are asking for justice in the case. Several other community members have been directly threatened by the same men.